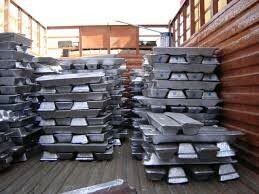 We hold expertise in exporting and supplying Cheap Aluminum Ingots, which are manufactured using the best quality aluminum at vendors’ unit. These ingots are widely appreciated for their excellent resistance to varying temperature and pressure conditions. We make available Cheap Aluminum Ingots in different specifications to meet varied requirements of the buyers. We are efficient enough to process retail as well as bulk orders for Cheap Aluminum Ingots even at short notice period.